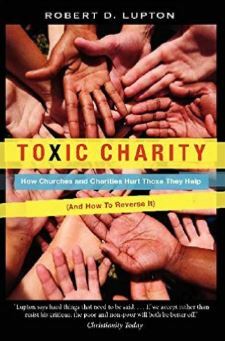 Our latest review covers the book Toxic Charity: How Churches and Charities Hurt Those They Help, and How to Reverse It by Robert Lupton. Toxic Charity provides an excellent reminder that we must always think critically about how our giving impacts those we seek to help. It shines a spotlight on the problem of charities and churches who believe they are helping the poor, but are really engaging in activities that create dependency and destroy dignity. As an example, Lupton illustrates a ministry that for years had collected Christmas gifts to distribute to families in the inner city. I’m sure you’ve heard of something similar. Over the years, a trend was observed. When the donors would distribute gifts to the families, the kids were obviously excited…they were getting new toys. The mothers in the home would grin and bear it for the sake of the kids. But the fathers were nowhere to be found. They would leave the room or choose not to be home altogether. The whole affair cut right at their dignity as male role models and providers for their families. Over time, the ministry morphed into a Christmas store where community members could come and find bargains, using their own money to purchase gifts instead of accepting handouts. If they couldn’t afford gifts, the ministry would put them to work at the store so they could raise their own funds to purchase gifts. The dramatic transformation from dignity stealing to dignity giving made a huge impact in that community. Wherever we serve, be it the inner city or abroad, we need to think about whether our actions empower, give dignity, and point others to their value in Christ. We don’t always have books that cover Haiti specifically, but we feel that a good cross-section of books on poverty alleviation, development economics, non-profit operations, and Haiti provides the best opportunity for professional development. 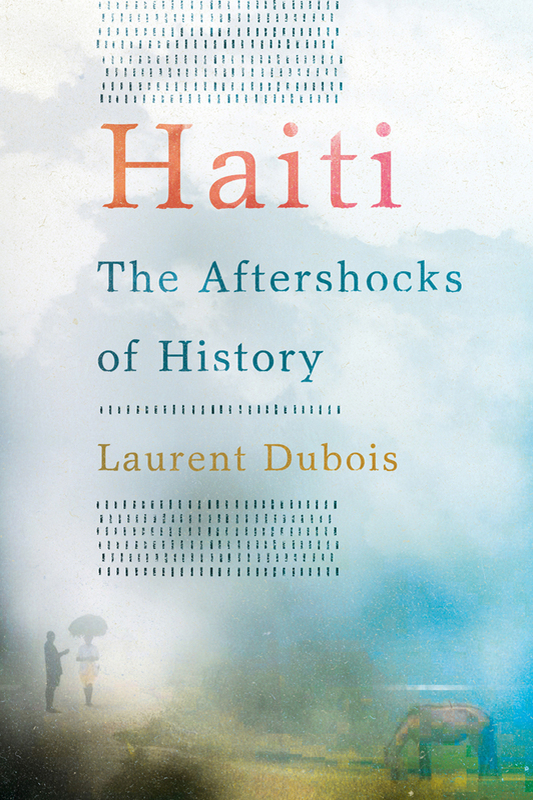 This month, however, we have a book that is all about the country we love – Haiti: The Aftershocks of History by Laurent Dubois. The book starts from the beginnings of colonialism and proceeds all the way up to present-day Haiti. The context of history definitely gives a better perspective on some of the problems that we currently experience while in-country. While there are many takeaways from the book, the following 5 were insightful. Regime changes. It seemed as though there has been a real problem with peaceful transition of power throughout Haiti’s history. Revolt after revolt brought someone new to power, but nothing ever seemed to change. This disrespect for the political process and attitude of using violence to incite change has roots from the very beginning. Constitution changes. How much do we take the U.S. Constitution for granted? It was written once and there is a clear process for revising it that requires a lot of political buy-in. This is not so in Haiti. When a president didn’t like something in the Haitian constitution, he just re-wrote it to make it more favorable. The lack of solid footing in the nation’s highest legal document is another strike against the political process that has implications to this day. Property rights. There appears to be an utter disrespect for property rights throughout the nation – something else that we simply take for granted in the U.S. After breaking up the large plantations, leaders seemed hesitant to give land to the uneducated peasant class. Even in the past 60 years, there has been a track record of the government simply taking land and giving it to foreign investors without any thought of compensating the holders of that land. Skin color/class. Coming from a split-race society in the U.S., and knowing the trouble our nation has had with race throughout its history, one might think that other societies with just one people group of the same skin color wouldn’t have those problems. Surprisingly, in Haiti, an elite status has been given to lighter-skinned Haitians, while poorer, darker-skinned citizens comprise the peasant class. Foreign intervention. The number of times foreign countries (largely the U.S.) have intervened in Haiti with largely detrimental effects is staggering. Governments or NGOs, take your pick, have done wonders in undermining the entire farming economy, eradicating the indigenous pig supply, creating a food-aid subculture, and introducing cholera to the masses. It’s clear that anytime we intervene, we must consider whether we’re helping or actually hurting. Something we take very seriously at Espwa. This book was a great place to start gaining some familiarity with Haiti’s beginnings. Recommended for anyone with a vested interest in the country. 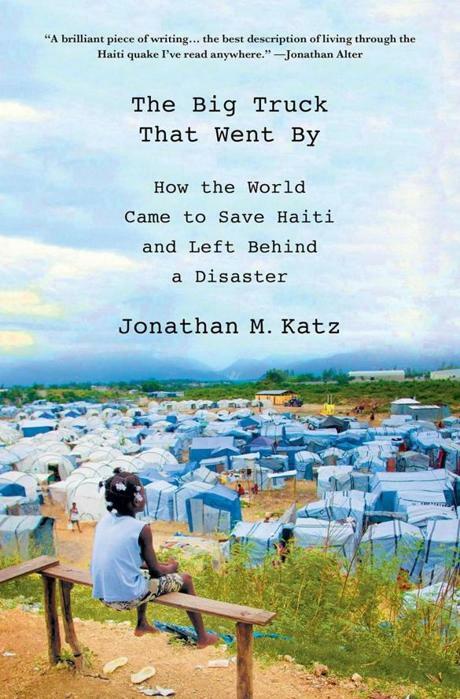 Our latest review covers the 2013 book, The Big Truck That Went By: How the World Came to Save Haiti and Left Behind a Disaster by Jonathan M. Katz. The book is written by a journalist who was working in Haiti prior to, during, and after the 2010 earthquake. His firsthand account covered the terror experienced as the earthquake happened, then all the relief and recovery actions after the disaster. He then began to delve into the systemic problems with the earthquake pledge money, the misguided efforts to create an industrial park north of Port-au-Prince, the cholera outbreak introduced by UN soldiers, and finally, the presidential race that elected Sweet Mickey Martelly. The book was a readable, interesting account of events with lots of personal commentary. It drew in elements from history and culture and presented a deeper understanding of the country than one would get from simply a historical account of the earthquake. If you’re looking for a little bit of everything “Haiti” – disaster, corruption, culture, yet hope – give this one a try. The latest book we’re reviewing is an old favorite of the Espwa team. 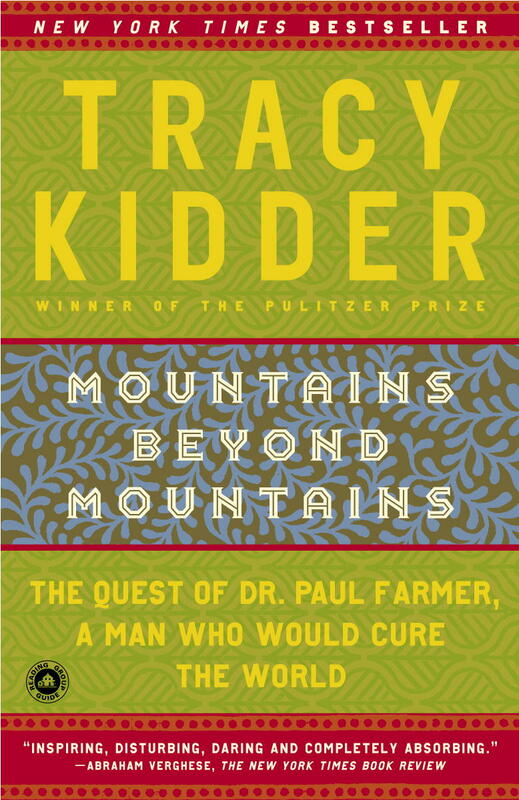 Mountains Beyond Mountains by Tracy Kidder details the life and work of Dr. Paul Farmer, a giant in the field of medical care to those in poverty. The book reads like fiction, but it’s anything but. It starts from the humble beginnings of the brilliant Dr. Farmer – anthropologist, infectious disease specialist, and non-profit founder – and documents his rise to one of the foremost experts on disease prevention in third world countries. The parts especially enjoyable to us here at Espwa are Dr. Farmer’s pursuits in rural Haiti, where he founded a clinic and has made great strides against HIV/AIDS and drug-resistant tuberculosis. The writing about Haiti is especially accurate and brings us right back into the culture, wherever we happen to be reading it. We can relate to many of the problems and joys that Dr. Farmer experiences while serving the materially poor citizens of Cap Haitien, as we’ve been serving a similar demographic. If you haven’t read this one, we highly recommend putting it on your wish list right now. If you do any reading in the field of development economics, you suddenly realize that there are several schools of thought when it comes to the best poverty alleviation methods. Poor Economics by Abhijit V. Banerjee and Esther Duflo does a great job of walking the line and sticking to cases where they could glean data about what works and what doesn’t when it comes to helping the poor – on both sides of the debate. The examples illustrated in the book are data-driven and are reminiscent of books in the behavioral economics field – basically trying to determine what drives behavior and decision-making. Here are a few interesting trends the book pointed out, and then we’ll follow that with some takeaways. A basic assumption is that when people are hungry enough to be weak and unable to work, they might spiral downward into making less and less money and starving even more. But research showed this was not the case for most adults. When given additional money to spend on food, they did not buy more calories, but instead spent the money on better-tasting calories (like sugary/sweet foods). Children do benefit from more calories, however. Every additional year of improved nutrition was shown to increase the child’s average income in adulthood. Research shows that we all have only a limited supply of willpower. When we make important decisions and fight temptations, our willpower is drained. Often, the poor are making so many decisions daily (about decisions that are already made for us in wealthier countries) that they procrastinate on some very important things. For instance, bed nets can prevent malaria, but bed nets cost money and poor people tend to procrastinate in this purchasing decision. When a select group were given free bed nets, they were much more likely to buy one at full price when given the opportunity later. The decision to “invest” in bed nets that make a difference in quality of life had already been made. In Uganda, research showed that only 13 percent of funds allocated by the government to schools was actually getting there due to corruption. When the results were reported to local citizens, there was suddenly accountability and an uproar occurred. Five years later, the percentage of funds going to schools was up to 80 percent. Having people care about corruption and its prevention can be transformative. The poor are responsible for almost all aspects of their lives. Unlike how we have it in the U.S., they can’t find credit, banking, government aid, or reduced/free medical care. Poverty alleviation strategies should consider changes that open up access to these resources. There are valid reasons that some of these opportunities/markets are lacking in countries like Haiti. Outside firms with technology or institutional advantages might be able to creatively implement new markets (as in the case of micro-loans). Individuals and communities seem to inherently believe that foreign organizations claiming to help their economic or physical well-being do not make true claims. While this is not covered in the book, you may recall certain villages in Africa during the Ebola outbreak in 2014 thought the measures being taken to prevent the disease were actually a plot to give them the disease. Information campaigns seem necessary to educate and must be presented in attractive ways (like via radio or TV dramas that have wide appeal). 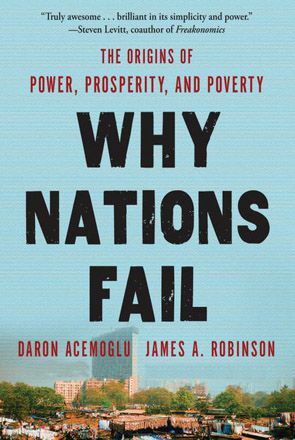 We shouldn’t assume that poor countries are destined to fail because they’ve always been poor. There are methods of public policy, accountability, and education that can change extractive political and economic institutions for the better. As with many relationships, expectations matter. We must set high expectations for those in poverty and give them opportunities to see the vision of how things can be, not how they have always been. We at Espwa believe each person has value and that there’s always a reason for hope. 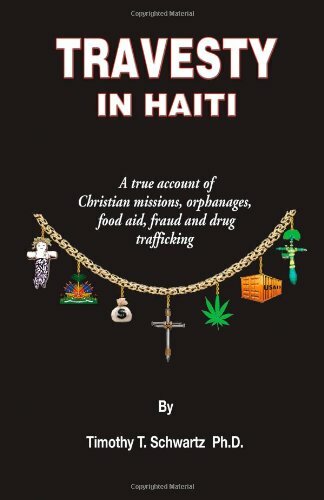 This month’s review has an interesting title: Travesty in Haiti: A True Account of Christian Missions, Orphanages, Food Aid, Fraud, and Drug Trafficking by Timothy T. Schwartz. Sure gives away the author’s true feelings from the start, but here’s our thoughts about the book. The book takes the first person perspective of an anthropologist who spent 10+ years in Haiti. The title word says it all – travesty. The author goes through various spheres in Haitian humanitarian aid, including food aid, orphanages, medical care, and schools. He also touches on voodoo, the police and justice system, poverty in rural Haiti, and finally on drug trafficking. The author walks away with a cynical and disillusioned perspective after all of his research – for good reason after all the travesty he witnessed. As an organization in the business of helping the poorest of the poor in Haiti, this book resonated as a call to examine everything Espwa does. We are founded on the basis of relationships and I think the first step in avoiding some of the travesty is partnering with trustworthy, Christian individuals who share our same vision for poverty alleviation. It would be easy to just pack up shop and say that Haiti is not worth the effort – like the main thrust of this book suggests – but we’re in it for real change, not to pat ourselves on the back. Evaluating ourselves regularly and asking the tough questions are the first steps in overcoming the cynical perspective. For those who’ve never been to Haiti, this is a good primer to some of the things we’re dealing with down there. It’s taken us many years and much reflection to start overcoming the brokenness wrought by both Haiti itself and foreign aid, but we still consider it a worthy pursuit. If you read this one, do it with a grain of salt and know that we are all broken apart from Jesus. Disclaimer: there is a bit of language toward the end of the book, but it is more illustrative of the situation rather than excessive. Ever thought about the impact of short-term missions to third world countries, or even to the poorer areas of your city? 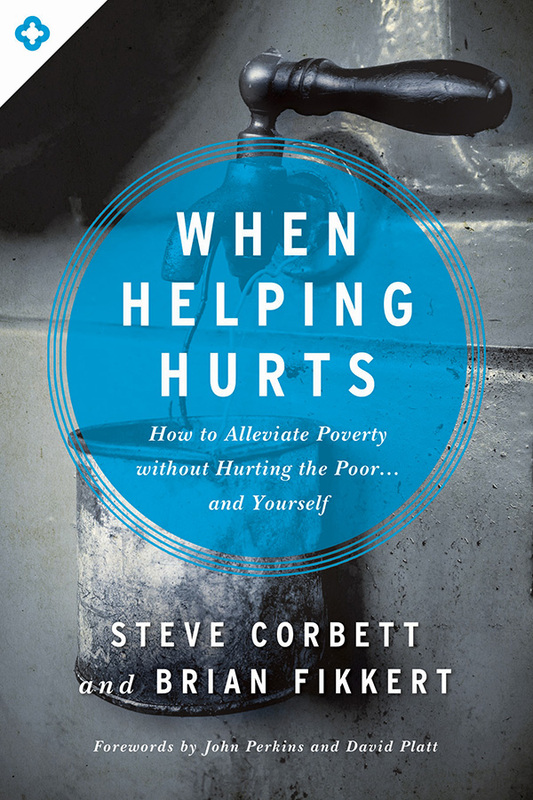 When Helping Hurts by Steve Corbett and Brian Fikkert causes you to consider the tough questions when working to alleviate poverty. Their book is the subject of our latest review. How do you know if you’re actually hurting those you’re aiming to serve and trying to get out of poverty? I think many in the U.S. and other wealthy countries believe that those in poverty are simply the people living in third world countries who don’t have access to a lot of the things and necessities of life – clean water, food, job opportunities, medical care, possessions, etc. That line of thinking can lead to disastrous results when coming up with a strategy to alleviate poverty. It can give a God complex and make those in poverty feel even more ashamed and hopeless. It can strip people of their dignity and worth because we think we have all the answers. 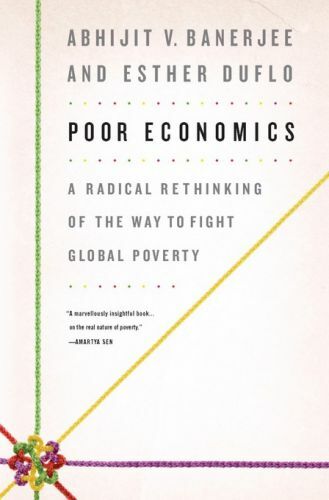 This book exposes those problems and gives a paradigm shift when thinking about poverty. We are all broken and in poverty in some aspect of our lives. Building relationships with the poor and working for true development is a much more worthy goal than accomplishing short-lived tasks while in-country for a few days or weeks. Simply put, this book gave words to the experiences and lessons learned we’ve accumulated over many years of serving in Haiti. It’s how we at Espwa want to operate and it’s formed a large part of our strategy moving forward. We hope you’ll read this one to get an idea of how we intend to serve and we hope it makes as big of an impact on you as it did on us.